Both groom and bride were very game and ready to explore the places in Jogja. Before the trip, we try matching outfits and suitable romper for historical sites. Research on locations was tougher as most sites were not in English but we still went on and ready to take on any obstacles. 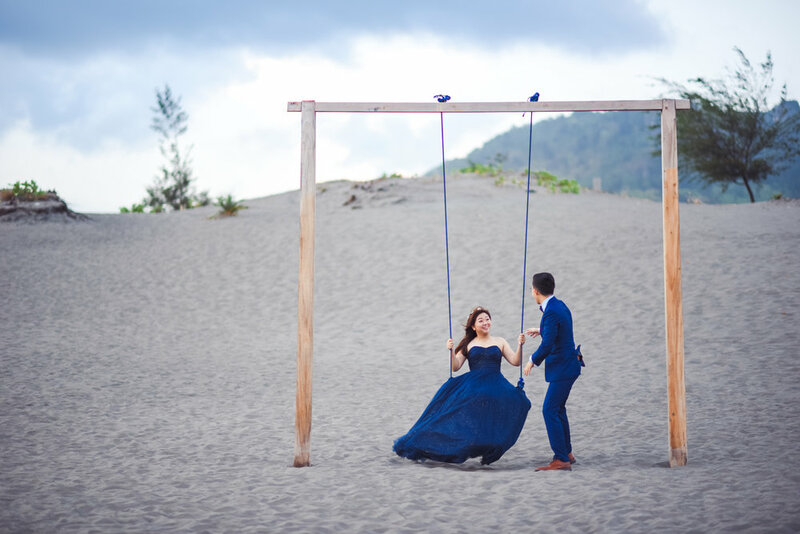 Photographing couples is more than just posing at great sceneries. I'm after the experiences and wanting the couple to enjoy themselves more rather than feeling being dragged. Proposing for a (very bumpy) jeep tour to Asia's most active volcano, Mt Merapi, also make sure they have fun and never forget this trip! A place of many (huge) temples and tempeh. Very difficult not to come by a single tempeh in any meal here in Jogja. Thank you both for being so easy-going and also trusted me from capturing to arranging the canvases for your big day. Can't wait to see you both again and have the biggest celebration of your life.